No matter what your friend may tell you, paying the high dollar for your skin care products is going to worth, especially on the long run. Sure, the high dollar cosmetics aren’t all roses and rainbows, but you always want at least to give it a go to see if it’s worth it. Chances are, any high end cosmetic product is going to worth it so you should take the plunge at least any now and then. What do you know about Lancôme? 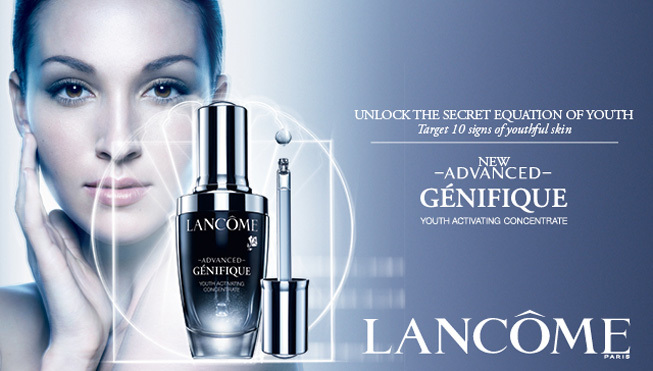 Why use Lancôme Advanced Genifique Youth Activating Concentrate? What are the tips for use? How does it leave the skin? What do we like the most about the serum? Is there anything we hate? The well-known French manufacturer has been around town for quite some time now which does explain its ability to constantly create and made revolutionary cosmetic products. It was only a while ago when Lancôme has become a part of L’Oréal Paris Luxury line, but the quality and principles haven’t changed that much. Even though the fragrances and makeup products are the most popular Lancôme products, this doesn’t mean that its skin care products are any less competitive. By contrary, Lancôme serums are some of the most effective options out there as their formulas aren’t just innovative, but also highly efficient. In spite of the fact that the price tag may be the first thing to strike you when taking a look at the serum, there are so many things to appreciate about it. Its formula is based on a bio-technology derived ingredient that is going to work by improving 10 youth skin indicators: firmness, wrinkles, skin tone, skin texture, elasticity, fine lines, sagginess, clarity, resiliency and luminosity. When it comes to skin, these are the features that you want to address for a younger overall appearance. Users of the serum have reported an evening of the skin tone (42%), whereas the most impressive results came from the improvement of the texture (57%). Radiance, elasticity, resiliency and firmness also showed changes for the better (50% or so from the customers noted results on that area), but the serum brings good things to the skin when it comes to wrinkles, sagginess and clarity. Able to give a youthful glow and a smoother skin in just one week, the serum addresses every skin type and age and is has oil-free formula that works for most. Sensitive, combination, dry, normal and even oily skin may benefit from using the concentrated serum on a regular basis. The formula of the serum doesn’t just reduce the visibility of fine lines and wrinkles, but also eliminates dullness from skin, evening out your skin tone. Bifida ferment lysate- this is one particular kind of yeast produced by the fermentation of Bifida. It reduces the effects of sun’s damage to skin and sooths the skin. It hydrates the skin and improves the power of the other ingredients within the formula. Sodium hyaluronate- is a very popular ingredient that has anti-aging properties. It penetrates the skin and seals in water. It moisturizes the skin without leaving a greasy feel and helps the skin stay hydrated for longer time. Hydrogenated castor oil-controls acne and helps the skin fight against the aging of skin. It whitens hyperpigmentation and fades out the wrinkles and fine lines. This isn’t everything to mention about the serum. The formula doesn’t include sulfates, phthalates, and parabens which is why it’s a safe choice to use on all skin types. It doesn’t clog pores and doesn’t cause breakouts or irritation either. The serum stands as the first step of your daily skin care regiment. You should always begin with cleansing and letting your skin dry. You only need a bit of the serum as a little goes a long way. The serum comes with a self-loading dropper that ensures the perfect dosage every single time. You shouldn’t experience any difficulties using it. RELATED POST: Start Using Pomegranate Seed Oil Asap- It’s Good for Your Skin and Hair! The serum has a lightweight consistency so it goes right into the skin. It softens the skin and has a subtle scent that doesn’t linger for a long time. As it dries fast without leaving any residue behind, the serum is great to apply under your makeup too. When you’re using the serum in the morning, it’s wise to follow it with a good sunscreen, especially during the hot summer days. 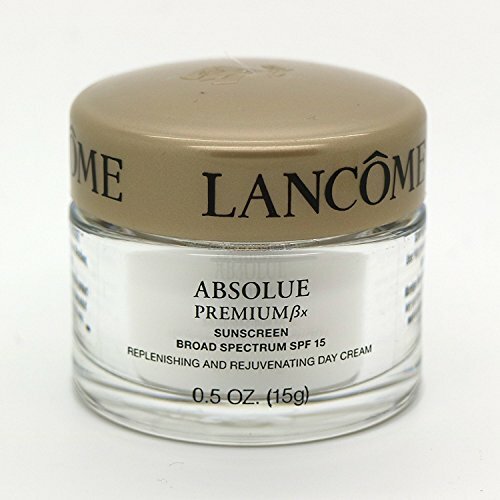 Here’s an option to keep in mind when shopping Lancôme Absolue Premium Bx Advanced Replenishing Cream SPF15. As for your night time skin care routine, don’t hesitate to improve the serum’s results with a good moisturizer. 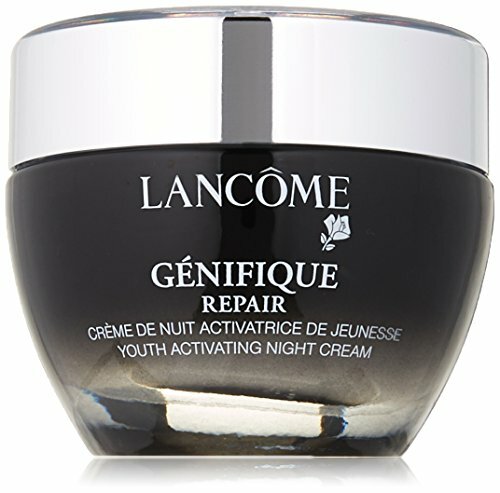 Take a look at Lancôme Genifique Repair Youth Activating Night Cream. Using cosmetics from the same cosmetic line is always good for your skin. What’s our final word on the serum? The good far outweighs the bad when it comes to the serum and you should take the leap of faith and pay the extra buck for it. 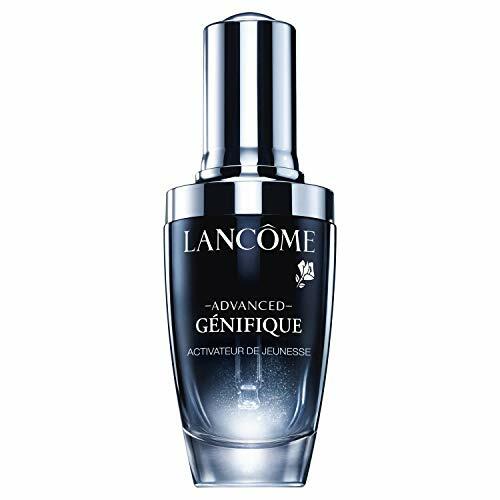 Lancome Advanced Genifique Youth Activating Concentrate able to improve your skin texture, to make the wrinkles and fine lines less visible, and so much more, the serum is going to bring so many good things to your skin even sooner than expected.